No one likes to do external window cleaning. 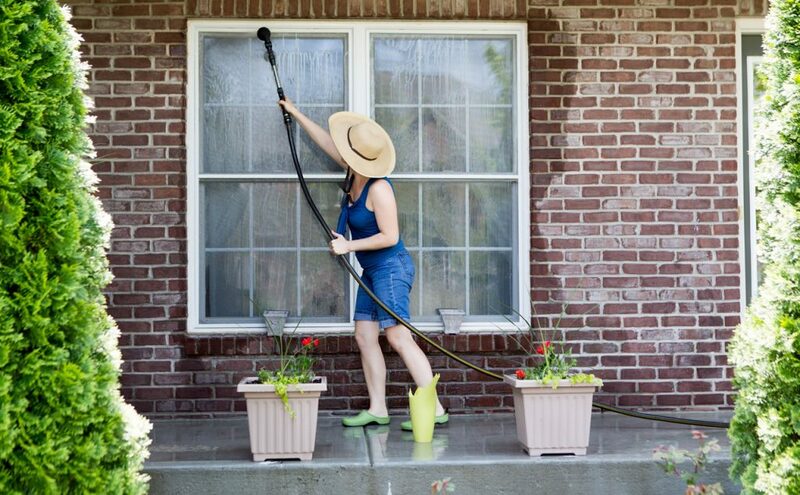 However, ignoring the build-up of dirt and grime accumulating on your windows is definitely not a good idea, because not only will it turn your home into an unsightly place but it will also do a lot of damage to your windows. If you’re still not convinced, then maybe you should check out what happens when you leave your windows dirty for too long. There’s nothing worse than looking out of your window and having to squint your eyes in order to make out if that dot is a faraway object or just a stain on the glass. Clean windows will give you a perfect view on the outside world. Regular window installation will make it easier to clean them moving forward because there will be no stubborn dirt and grime build up to deal with. Effectively, it’ll take less and less time for you to clean the windows. When your home looks good, it improves the image of the neighborhood in which you live, which is why curb appeal is important to maintain throughout the year, even if you’re not planning on selling your house. Also, a house with dirty windows often ends up looking uninhabited and it causes the structure to look super old. New windows don’t come cheap which is why it’s always a good idea for you to take care of the ones you have right now to avoid the cost of doing a window replacement. It’s important to note here that due to the porous nature of glass, the build-up of grime and dirt on the surface of your window can significantly weaken the glass, thus making it easier to break. Apart from that, leaving your windows dirty for too long can lead to dirt that doesn’t want to come off, which means that even when you do eventually decide to wash your windows they’ll still end up looking somewhat discolored. The window seals can also get damaged when window repair isn’t done regularly, causing expensive air leaks. Dirty windows can block the flow of natural light into your home, thus making the space permanently gloomy and dark. That’s obviously not good for your mood so it’s best for you to keep your windows sparkling clean so that you can enjoy the feel-good emotions created by getting maximum light into your space. And with clean windows, you’ll get to enjoy a lot of natural light all day long. Having clean windows will help you avoid costly heating bills, as the sunlight coming through the windows will naturally heat your house, thus eliminating the need to use artificial heating methods. Not only that but cleaning your windows regularly means that you won’t ever have to hire a professional window replacement service, as the dirt build-up will be small and easily manageable.